The Hawai’i Police Department is asking for the public’s help in locating a 22-year-old man wanted for questioning in connection with a stolen vehicle reported in Hilo on February 12. 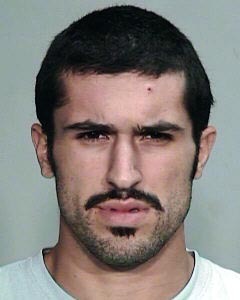 Julian Richard Benevides is described as 5-foot-11, 170 pounds, with a medium build, black hair and brown eyes. He is also wanted in connection with an abuse investigation and has an outstanding no-bail probation warrant. Police ask that anyone with information on his whereabouts call Detective BJ Duarte at 961-2279 or the Police Department’s non-emergency line at 935-3311. Tipsters who prefer to remain anonymous may call Crime Stoppers at 961-8300 in Hilo or 329-8181 in Kona. All Crime Stoppers information is kept confidential.